On Tuesday, September 21, Rob Gifford will be speaking at Elon University for this year’s common reading lecture. 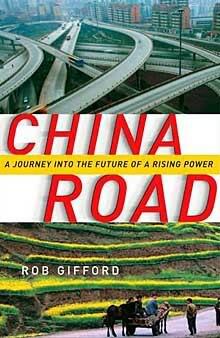 Gifford is the author of China Road, which was selected as the common reading book for the campus this year. Each spring a committee consisting of faculty, staff, and students choose a book for the Elon community to read for the following year. Often times these books are integrated into the Global Experience or Elon 101 classes and often times the author of the book deliver a lecture on campus during the fall. The 1992-1993 academic year was the first time Elon adopted and implemented having a common reading book for campus. “The ultimate goal is to get students and faculty more involved in reading and being part of an academic community,” according to the May 8, 1992 edition of The Pendulum. This entry was posted in Academics, Campus traditions, Cultural events, Student Life. Bookmark the permalink.